Grammy Awards winner Tim McAllister proposes a recital of two European premieres and William Albright’s Sonata. 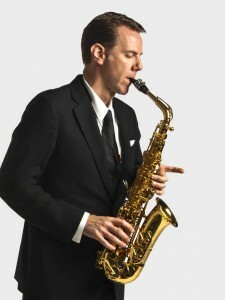 A renowned teacher of his instrument, he has served as Professor of Saxophone at Northwestern University (IL), a Valade Artist Fellow for the Interlochen Center for the Arts (MI), and is a clinician for the Conn-Selmer and D’Addario companies. In September 2014 he joins the faculty of the University of Michigan School of Music, succeeding his legendary mentor, Donald Sinta. McAllister’s work can be heard on the Nonesuch, Deutsche Grammphon, Naxos, OMM, Stradivarius, Centaur, AUR, Albany, Parma, New Dynamic, Equilibrium, New Focus and innova record labels.